A chunk of the joy to collecting art is getting to know the artist behind the object, whenever possible. This extends beyond picking a painter's brain for insight into their work; the very vessels you serve food from can be part of your collection. Handmade bowls and mugs have stories, and are as much a way to express your individual taste as the things you put on your walls. 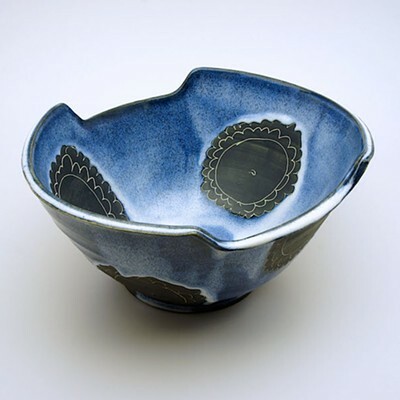 This weekend marks the third annual Flower City Pottery Invitational, which gives an opportunity to collect functional (and some decorative) ceramic work from 21 regional and national artists. But you can also converse or take a workshop with the makers, and free lectures and demos are held throughout the weekend. 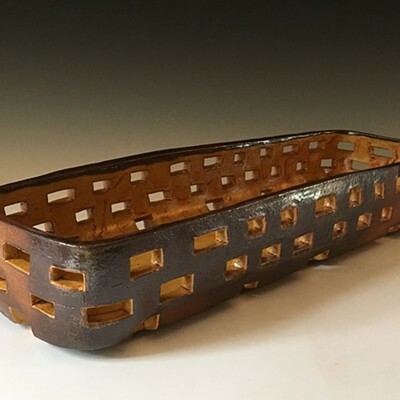 A preview sale and reception, which is a ticketed event, will take place Friday, October 13, 6 p.m. to 8:30 p.m.
"There is a direct personal connection as you use this artwork, between your life and their story," says Richard Aerni, FCPI co-founder and a ceramic artist. "This is something that's come out of somebody's mind through their fingertips, and through the fire. It's imbuing your life and surroundings with meaning." 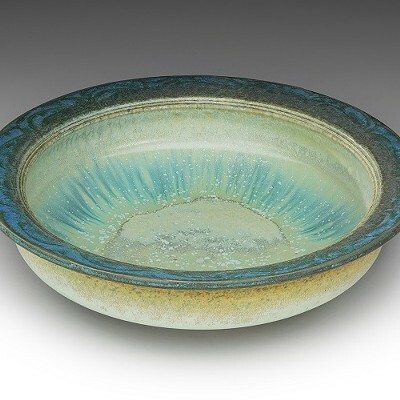 Aerni says that the invitational is modeled after the "grandmother of these sales," The Old Church Pottery Show and Sale, held in Demarest, New Jersey, which was founded in the early 1970's by Mikhail Zakin and Karen Karnes. Aerni was first invited in 1986, and this year will mark his ninth time participating. Aerni and Alfred University professor Matt Metz, a few years ago, began kicking around the idea to host an invitational in Rochester. They both had contacts at The Genesee Center for the Arts and Education — as Flower City was called at the time — where Peter Pincus was the pottery studio manager. 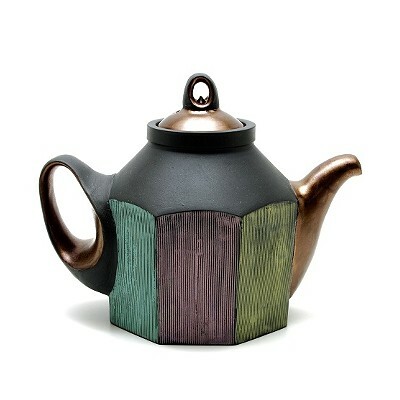 They came up with a model that would benefit both the invited potters and the center's programming. Metz, Aerni, and Pincus the FCPI curators each year, and they also participate in the show and sale. 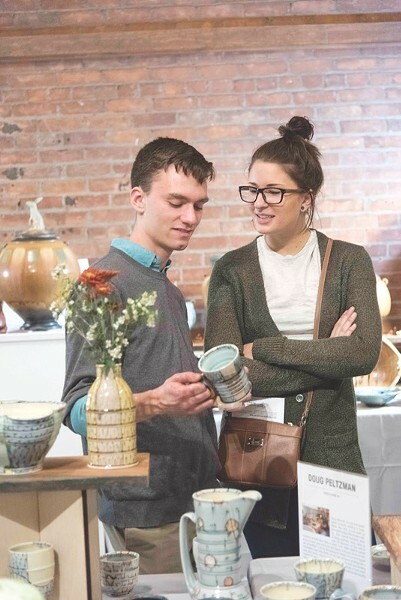 There's a large emphasis on including potters who don't normally show their work in Rochester, giving locals a chance to see and collect something new. "Every year we want to have someone who is an emeritus, someone who has been in the field forever, and would be the shining star," Aerni says. This year that person is Andrea Gill, a longtime professor at Alfred who taught at Kent State before that. 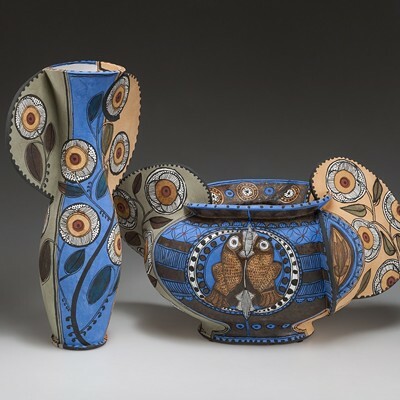 Now retired, Gill maintains a studio practice, creating vibrantly-glazed vessels that trip back and forth between two and three dimensions. The organizers also emphasize new talent; Aerni estimates that about a third of the invitees are in their late 20's or early 30's. The curators themselves embody the gamut of experience, Aerni says. "Matt is mid-career, I'm sort of further in than any of them, and Peter is just like the rocket ship that's taking off now." Various styles and techniques are represented in the show and sale. Trumansburg-based artist Julie Crosby's work is "strong but quiet," Aerni says. 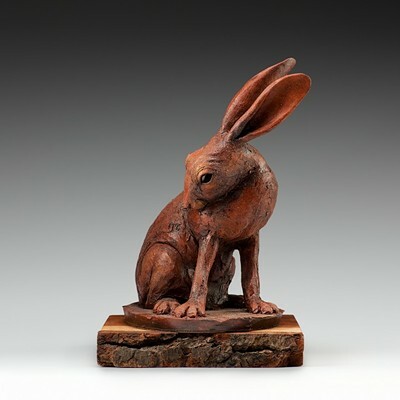 She works in wood-fired clay, "her forms are bold and straightforward, there's no frippery." 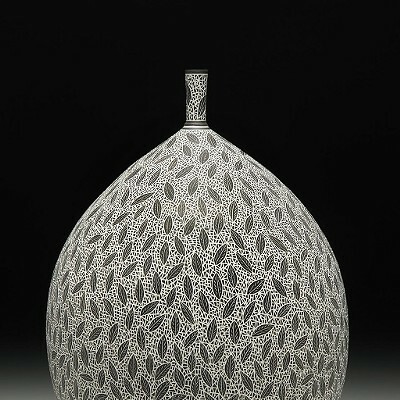 Similarly, Matt Kelleher, of Alfred, makes soda-fired pots that "are soft and lustrous. They don't get in your face." Alfred studio artist Shoko Teruyama's work is more painterly, with dreamy, illustrative surfaces. Her work was a hit last year, and she nearly sold out of it. 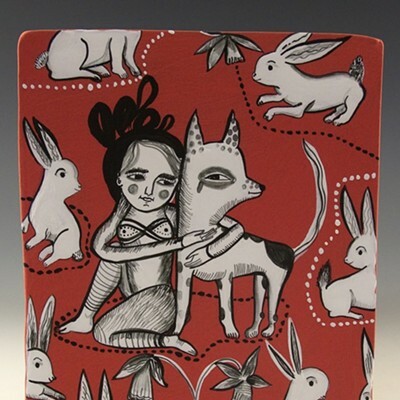 Jenny Mendes, based in Ohio, creates both functional and decorative ceramics with human or animal features and narrative aspects. Flower City will host workshops on Thursday, October 12, and Friday, October 13, and eight different artist demos will be held at regular intervals on Saturday and Sunday, with various potters sharing techniques and experiences. In the last two years, organizers found that a large number of people came to the center and stayed all day, Aerni says. "They'd peruse, they'd shop, and then the lecture would start, and it would be packed. People were just enthralled." After, attendees would visit the artist at their booth, and maybe do another run through the show, he says. "And people returned each day." The organizers have tried to make it easy for clay enthusiasts to talk with makers. Most artists are reluctant businesspeople, Aerni says. 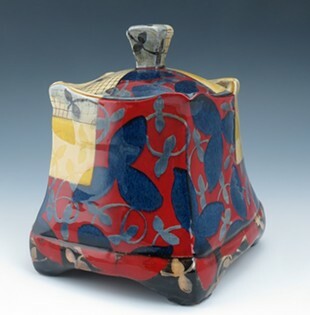 At this sale, they're not there with their cash box trying to sell you something — all sales are handled through the center, enabling the artists to focus entirely on conversing with visitors about their work. "It's good all the way around," he says. 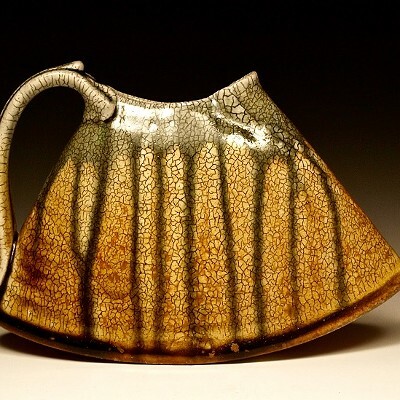 People in the community host the potters each year, and there's an aspect of the gathering serving as a reunion for what is a tight-knit national pottery community. "Some of these folks I've known for 30, 40 years, and our paths cross at events like this, and that's about it." There are people who travel to attend, and collectors who don't come but call in to purchase. Although the organizers allow out-of-towners to make remote purchases, priority is given to local collectors who get first dibs. Remote purchases are held until a three-hour time window on the last day of the show, when personal shoppers are available for 15 minute appointments. 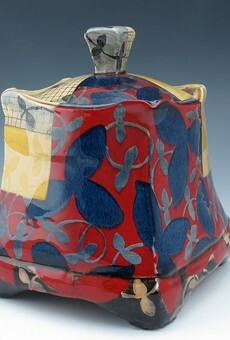 To secure an appointment, email ceramicstudio@rochesterarts.org. 9:30 A.M. to 4:30 p.m.: Lorna Meaden Workshop. $60-$65 (nearly sold out, register now). 9:30 a.m. to 12:30 p.m.: Matt Repsher Workshop. $25-$30, registration required. 10 a.m. to 5 p.m.: Exhibition and Sale open to the public. Free admission. 11 a.m. to 4 p.m.: Exhibition and Sale open to the public. Free admission.